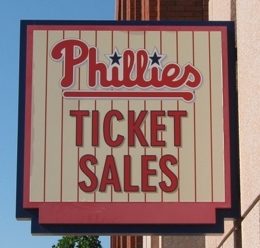 Finding Citizens Bank Park parking for a Phillies game isn’t terribly difficult; it is built in a sports complex that allows for ample parking, even for multiple events. Saving money parking at a Phillies game is a little bit more of a challenge, though. So here are three decent and less expensive alternatives to the official Phillies lots, for you the cheap fan. Note from Kurt...Hey fans, looks like the Holiday Inn option is gone for now. I’ve read that it’s going to be replaced by a casino, but currently it’s a construction zone with no parking. Sorry about that…I’ll update this with anything I hear. Just so you know what the building looks like. Citizens Bank Park Parking, Cheaper Option #1) The Holiday Inn. North of the ballpark across the street from Phillies Lot W, there is a small amount of spaces on the west side of the hotel. You might need to get there early, but they’re a few bucks cheaper than Lot W, it isn’t any farther away, and as far as I know you can tailgate there. It’s a fairly easy out onto Packer Avenue too. The Holiday Inn restaurant sometimes has game day specials; they used to deduct the cost of parking from your meal if you ate there but I don’t believe they do anymore. Still, wouldn’t hurt to call and ask if there are any specials. The difference is clear. And the walk isn’t much further. Citizens Bank Park Parking, Cheaper Option #2) The Jetro Warehouse. You would actually have to go south of the warehouse to get the cheap rate, but it’s significantly less, there’s decent tailgating here. There’s a small breakfast and lunch eatery here called the Stadium Grille, a place that gets good reviews for their cheesesteaks if you want a cheap meal before the game. It’s a bit of a walk and not pretty to look at, but good if you want to save a few bucks. Stone construction makes the lot look safe for parking. 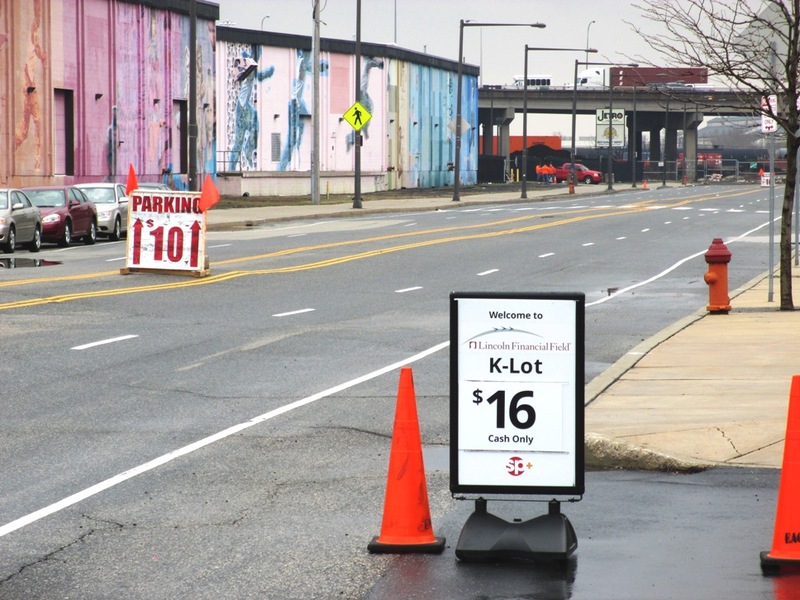 Citizens Bank Park Parking, Cheaper Option #3) The Church Lot on 10th Street. I don’t know the name of this church or even if it is a church (Google Maps is no help here), but it looks like one so I’m running with it. This lot is on 10th Street, north of Packer Avenue and just north of the I-76 overpass. If you look at Google Maps, it’s across the street from a football field. Easy to find. Parking here is a few bucks cheaper than the aforementioned Holiday Inn lot. It’s a little further away and you have to cross an intersection, but the walk isn’t too bad and you can see the inside of the ballpark as you approach, which is nice. This one is also an easy out onto Packer Avenue. Those are three less expensive alternatives for parking at Citizens Bank Park, but you have lots of other options to get there, like the Broad Street Line or the Taxi Crab.